Masterminds of jangly power pop anthems and dynamic, energetic live shows — both of which are heavily inspired by their party-centric ways — Ottawa fun boys New Swears have been causing a ruckus for over four years. Signing to Dine Alone Records in late 2016 hinted at the quartet's progression, and it's led to the release of their new album And the Magic of Horses. 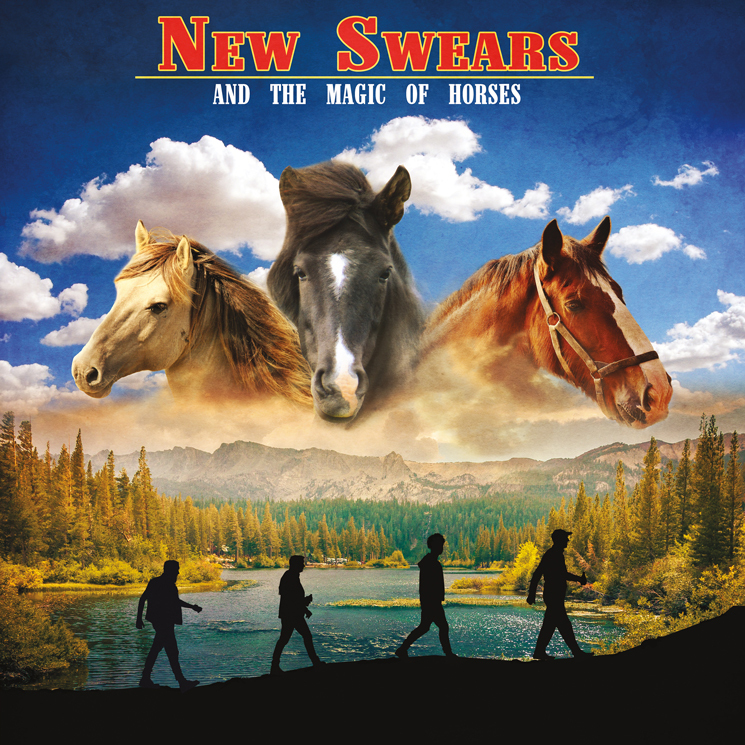 While signing to a label could have posed a challenge for a band formed on a DIY mentality, Horses remains true to New Swears' authentically brash edge and showcases the band's most cohesive and seasoned sound yet. Swapping electric guitars for acoustic throughout the bulk of the record's ten tracks places emphasis on the group's melodic gang vocals and four-part harmonies without taking away from their boisterous and upbeat nature. "Halos in Hell" has the frenetic energy and guitar licks to get the mosh pit moving, while lyrics like "There's no sun when you're in the basement / Sitting with friends but your mind keeps busy sailing" sets up a pleasantly introspective contrast. The album's halfway point, "777," ignites the refreshing yet comfortable vibes of reuniting with old friends, while "Cry a Lot" bursts with joyful sha-na-nas before concluding with a humorously pissed off voicemail.